It is our aim to help our clients in three main ways which we ensure is performed in a way our clients can understand. We talk in plain language with as little accounting jargon as possible. Speak with one of our accountants on the Sunshine Coast today! Tax is an expense that does not produce more income so it should therefore be reduced as much as possible. Our firm strives constantly to look at ways to help our clients legally reduce their income and Capital gains tax liabilities. We perform this by helping our clients measure and monitor the Key Performance Indicators (KPI's) of their business. You cannot manage what you cannot measure. Do you even know what your KPI's are? We provide Break- even Point analysis and prepare Cashflow Budgets for our clients. The aim for many people is to grow their wealth and with the above two processes we help our clients achieve this. We are also experts in Self Managed Superannuation Funds, Tax Effective Investing and we also work closely with our affiliated Financial Planning firm, Close Financial Services when it comes to placing these all important funds into a particular Investment Portfolio. Prepare and lodge income tax returns for Individuals, Sole Traders, Investors, Partnerships, Companies, Trusts and Self Managed Superannuation Funds. Get the lowest amount of tax legally payable or receive higher refunds, taking advantage of current tax laws. We will correspond with the ATO on your behalf. Plan with you for future years to help lower your tax payable or plan in advance for payments. Prepare and lodge BAS's & IAS's. Capital Gains Tax for rental properties, shares and business preparation and planning. Preparation of Financial Statements enabling you to examine your Business' performance throughout the year. Ensure your business meets statutory reporting and legislation requirements. Accounting for Rental Properties, Motor Vehicle usage, Share Trading and purchase or sale of business. Preparation of Financial Statements for Business Activity Statements. Set up of Companies, Trusts, Partnerships and Self Managed Superannuation Funds for a set fee. Structure your business to achieve the best tax scenario. Use structures to protect yourself and your assets. Management and guidance for new businesses. 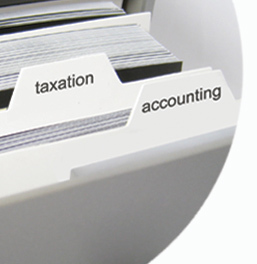 Provision of all Accountancy & Taxation needs for your SMSF. Administration of Self Managed Super Funds. Set up of new funds. Auditing of funds performed in-house. Help you to understand the rules & regulation of Self Managed Super. Set up the structure for you to purchase the business in. Perform accurate and in depth analysis of the business you are looking to purchase and provide full written reports. Prepare For Sale figures for businesses planning to sell. Assist you with the transition into your new business, set up of software and advise on correct bookkeeping practices. Registration for GST, Tax File Numbers, ABN's and PAYG for new Businesses. Provide advice on and analyse different financing options. Determine Key Performance Indicators (KPI's). Set up systems to measure and monitor your KPI's. Prepare budgets for your KPI's. Prepare Cashflow Budgets and compate these to actual performance. Answer the age old question, 'What happened to all the money we made, where did it go?'. We specialise in this industry and have been actively working with the industry since 1998. Entity setups or reviews prior to going to contract. Provide advice on and analysis of different financing options. Pre-purchase Due Diligence in writing and accepted by all major banks. Assistance with pre-purchase transition into the business. All other services stated above but specifically tailored to this industry. Do not make the mistake of using any accounting firm when you are in this industry, use an industry expert - the benefits are worth it! We audit all managers of Trust Accounts including: Legal, Real Estate, Management Rights and Second Hand Dealers. We audit all managers of Not For Profit groups including: Sporting Groups, Clubs and Non-Profit Community Groups. Explain thoroughly the consequences of our tax system on your dealings in Australia and assets and income from the rest of the world. Use all of our other mentioned services to assist you.